I am writing to you on behalf of someone very special and dear to me, my father, Charlie Leach. He has shared his infectious zest for life with his three sons and daughter and been a sincere friend to many. Less than two years ago, Dad was diagnosed with Interstitial Pulmonary Fibrosis. 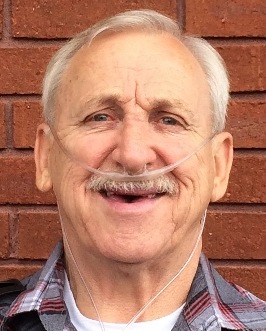 His doctors at the Vanderbilt University Medical Center have told us that his only option now is a life-saving lung transplant and consider him to be an excellent candidate. As you can imagine this is a very frightening road for our family and the prayer and support of friends, family, and the community is needed and appreciated to make the transplantation successful. As you can imagine, a transplant is not only major surgery but is also very expensive. Even with insurance, there are many expenses that must be paid out of pocket. Some of these are co-pays, deductibles, travel to and from the transplant center, relocation at the time of transplant for at least three months after transplant and he will be on expensive anti-rejection medications the rest of his life. To ease this financial burden, a fundraising campaign in Charlieâ€™s honor has been established with HelpHOPELive, a nonprofit organization that has been assisting the transplant community for 30 years. All donations are tax-deductible, are held by HelpHOPELive in the South-Atlantic Lung Transplant Fund and are administered by HelpHOPELive for transplant related expenses only. Please consider making a contribution. On behalf of Charlie, myself and our family, thank you for your kindness, generosity, support and prayers. WE WILL HELP WHEN WE CAN. WE BOTH LOVE CHARLEY. TELL CHARLEY SHEILA STEPHENSON CORBIN MARRIED MICHAEL HARRELL.